I´m insanely happy being an teacher. 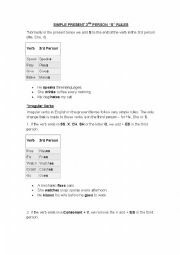 Here a easy way to practice simple present grammar. 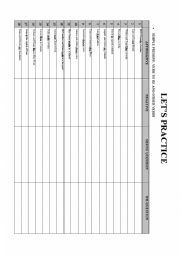 Here a useful way to parctice simple present. It was really helpful to me. Enjoy! Easy and useful test to evaluate your students future going to/ will. 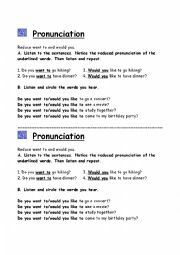 simple present 3rd person S rules spelling. 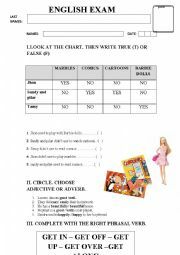 Here is practical worksheet to practice simple presente grammar 3rd person rules. It´s kind of complicated for beginners, so they need to practice. Hope it would helpul for you. I love yes/no question chart,that´s an easy way to evaluate teens. Hope you find it useful too. pronunciation want to/would like to. Reduce want to and would you. Greetings,colors and numbers dictation with phone numbers..kid will love it!